When vault dwellers exit Vault 76, exploration of Fallout 76’s vast new setting commences. In typical Fallout fashion, dwellers are likely to at first feel lonely. This new entry in the series aims to assuage the feeling altogether. Players, by virtue of this being a multiplayer game, encounter other vault dwellers. Cultivating friendships offers the key to surviving the apocalyptic wasteland. The educational video warns against growing attached to people too quickly. Anything can happen, but other dwellers won’t be long in making themselves known. Throughout the course of Fallout 76, partnerships come and go. But “lifelong friendships” are possible. However, another warning suggests not everyone is friendly and open to cooperation. In fact, some dwellers are bound to wage war on others for supplies and resources. Of course, the “Let’s Work with Others” video is clever marketing on Bethesda’s part. Some Fallout fans remain skeptical about what an entirely online title in the series will entail. 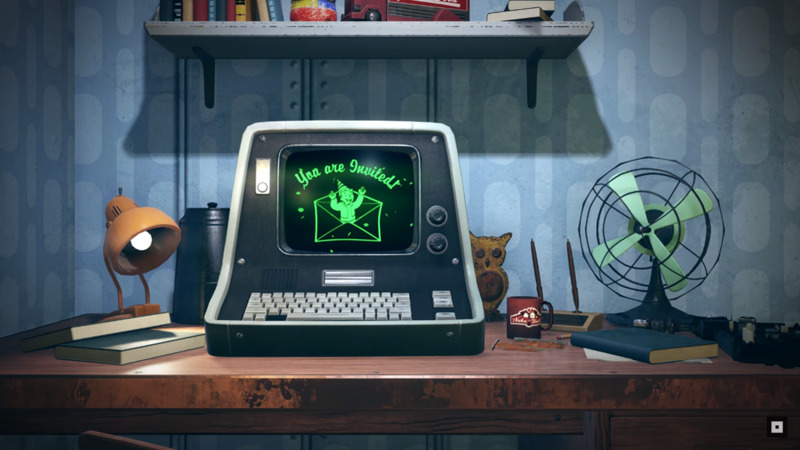 This animated promotional video seemingly gets to the nexus of what Fallout 76 is all about—discovering the many possibilities in a living, breathing world. Because other online players are essentially substitutes for NPCs, these possibilities appear more varied than ever before. Fallout 76’s B.E.T.A. launches sometime in October 2018, for those who have preordered. Progress from the B.E.T.A. carries over into the main game, which arrives on November 14, 2018.